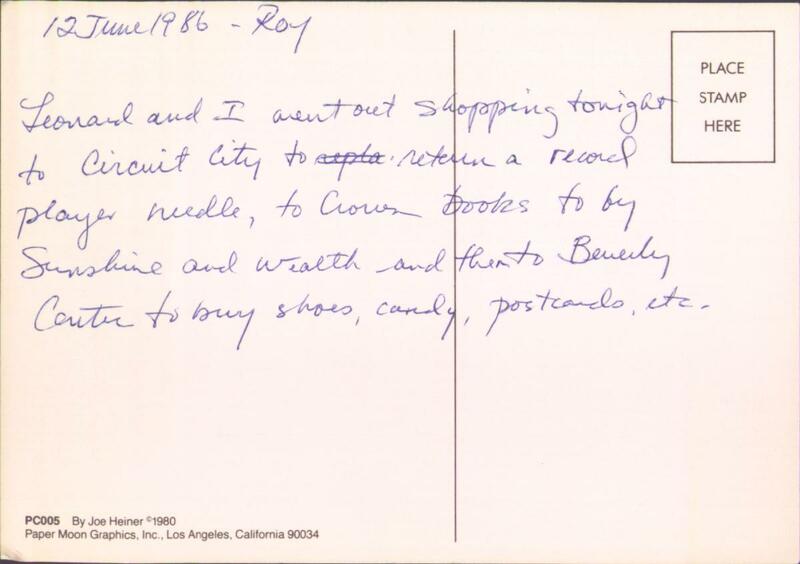 Leonard and I went out shopping tonight to Circuit City, to repla return a record player needle, to Crown Books to buy Sunshine and Wealth and then to Beveryly Center to buy shoes, candy, postcards, etc. Not a bad illustration in the Route 66 style. 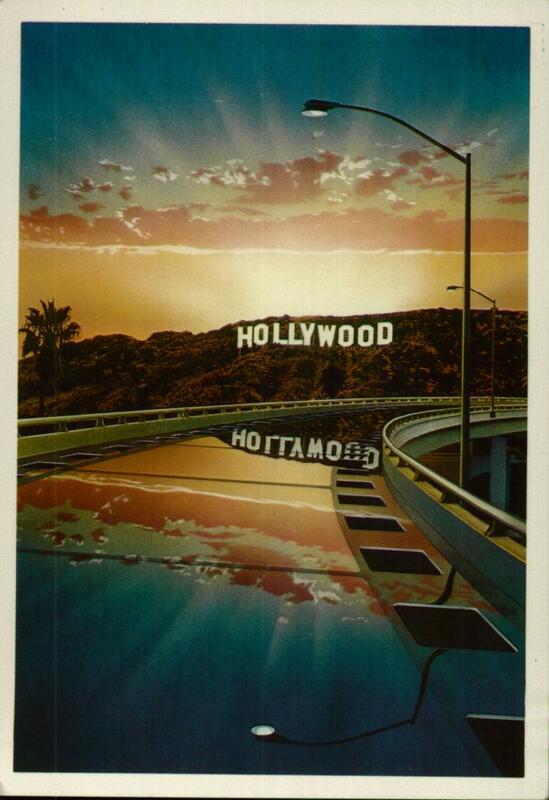 Do you somehow doubt that these are real postcards from the 80s? Do you believe I forged them all? Well, check this out. How could I have known that Circuit City sold record player needles, or that there was a bookstore chain called Crown Books? The case is airtight.